Travel through time and space with Doctor Who and this cool lenticular wall clock! 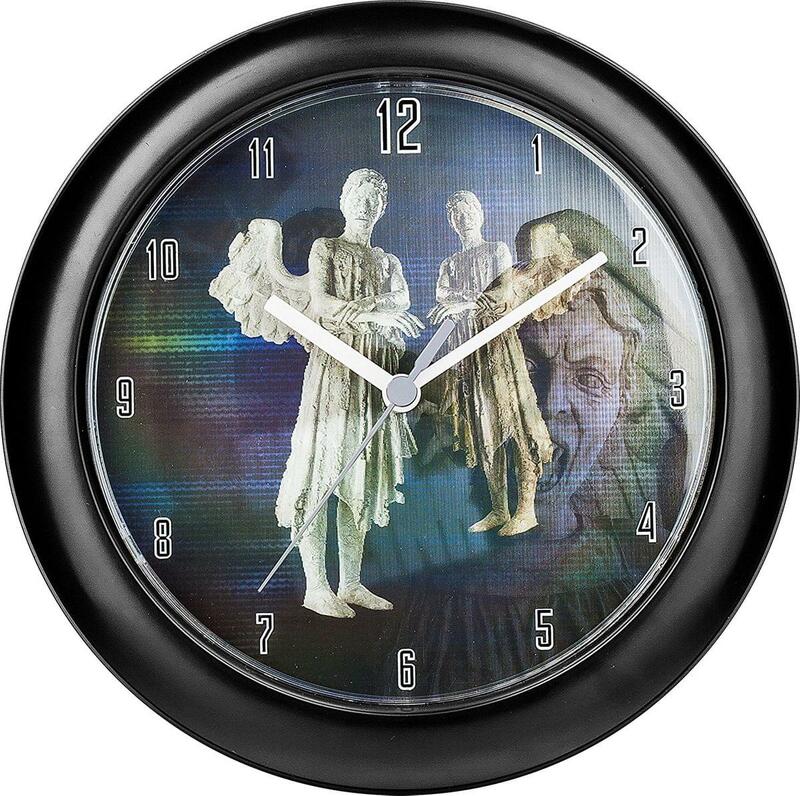 With a creepy design featuring the dreaded Weeping Angels, this frighteningly fabulous clock is not all it first appears. Move around the room to make the lenticular angels shift and transform! Just don't blink. Blink and your dead. Made of metal, plastic and cardboard. Measures approximately 10.5 inches in diameter. 2 LR44 batteries required (included). Travel through time and space with Doctor Who and this cool lenticular wall clock! 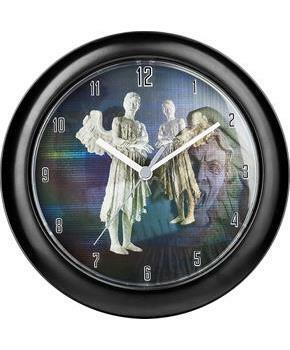 With a creepy design featuring the dreaded Weeping Angels, this frighteningly fabulous clock is not all it first appears. Move around the room to make the lenticular angels shift and transform! 2 LR44 batteries required (included). Made of metal, plastic and cardboard. Measures approximately 10.5 inches in diameter.